BMS Bulut Makina Co. were founded by Mr.Metin Bulut in 1991. 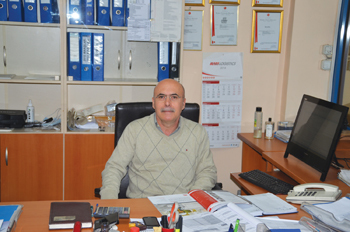 Mr.Bulut is the person designed & manufactured hardness tester first time in Turkey in 1983. Our company's main scope is the manufacture of hardness testers and it is a leader on this market in our country. In addition, manufacturing for metallographic sample preparation equipments are also in our dealing subjects. Our company has also very good reputation for Impact Testers, Coating Thickness Gauges, Ultrasonic Thickness Gauges, Surface Roughness Measuring Gauges etc . in Turkey and abroad. In total, more than 2,000 equipments have been sold in Turkey and around the world . BMS Bulut Makina, also represent Turkey successfully with the equipments sold to foreign countries such as USA, Egypt, Mexico, Spain, France, Germany, Great Britain, Italy, Netherlands, Russia, Iraq, Iran, Syria, Israel, Saudi Arabia, Algeria, Jordan, Sudan, Pakistan, Gambia, Australia etc. Our company has an important position for the marketing highest quality devices to the customers in the related sectors. BMS Bulut Makina following modern and advanced technology using latest developments in its own works manufacturing & marketing best quality equipments which are required in global markets.